Prints are of various sizes and are mounted to board, 24 x 19 inches. 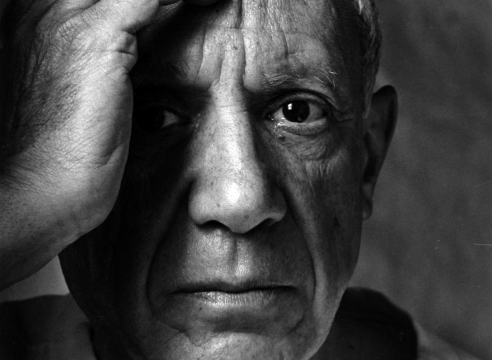 Howard Greenberg Gallery is pleased to announce an exhibition of photographs by Arnold Newman. Conceived with the artist prior to his death on June 6, 2006, this exhibition will feature a remarkable group of virtually unknown photographs that pre-date Newman’s celebrated career as a portraitist. The south gallery will feature classic portraits by Newman that have the particular virtue of having been signed and inscribed by the sitters. The early work is revelatory, the portraiture a powerful reminder of the artist’s legacy as one of the most accomplished and revered photographers of his generation. Of these early photographs Newman said, “I had worked very deliberately on my paintings and the direction in my photography followed the same concept. I was building a photograph. I wasn’t taking one.” This precept is made manifest in all of Newman’s photographs but particularly so in the work he produced in Florida in the late 1930’s.